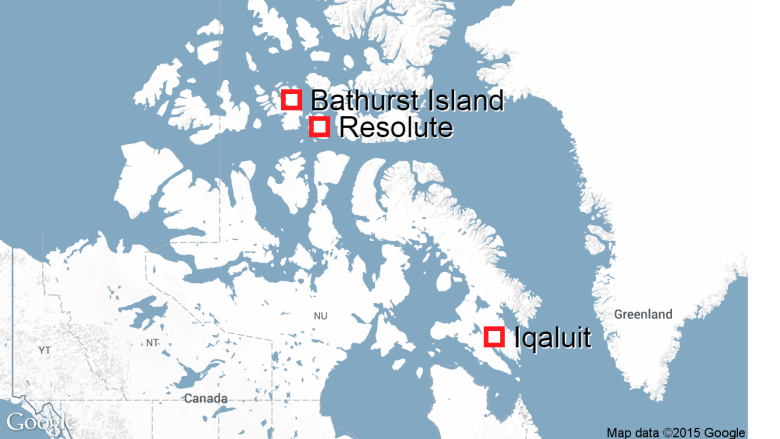 Nunavut RCMP say the search is over for two Dutch skiers who fell through ice near Bathurst Island, about 200 kilometres north of Resolute, Nunavut. Both are presumed drowned. According to the Cold Facts organization's website, Marc Cornelissen and Philip de Roo were on a two-month scientific study of the area's ice for the organization. The site says part of their research involved interviewing local hunters about ice conditions. In a news release, the Dutch support team says that on Wednesday morning, the base camp received an automated message for an urgent pickup. A pickup operation was started immediately with a local aircraft, but the pilot could not land because of thin ice. A dog travelling with Cornelissen and de Roo was spotted, along with a sled on the ice and another in the water. 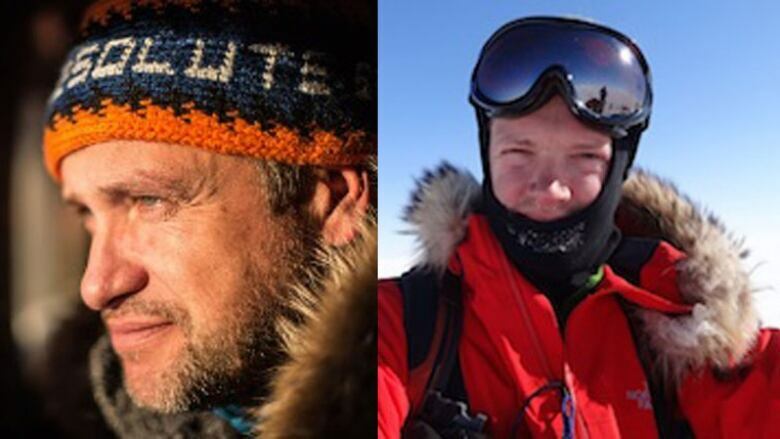 A search and rescue operation, co-ordinated by the Nunavut Emergency Measures Organization, also failed to locate the two expedition members, police say. "They were able to confirm that there was expedition equipment including personal items floating in the water at the location of the distress signal." In a voice recording he posted online Tuesday, Cornelissen said: "Today was a good day." He described the weather as surprisingly warm, "too warm actually," noting that he ended up skiing in just his underwear and boots. The release said the two are experienced polar explorers and researchers.